Gen. Sam Houston's "Honor" ring is one of many artifacts history enthusiasts can see at the new Sam Houston Movie Web site. When Texans hear the name Gen. Sam Houston, they often think of the Texas Revolution, the president of the Republic of Texas and the state’s former governor. However, Houston’s influence on the rest of the country was just as enormous as his influence on Texas, according to documentarian Denton Florian, whose Sam Houston Project has been working for three years to create a movie on the famous politician. Florian’s soon-to-be-completed documentary, “Sam Houston,” is a comprehensive chronicle of Houston’s life from his birth in Virginia through his time in Tennessee, in the U.S. Senate and beyond. While the film, the first video biography of the general, is still incomplete, Texas history buffs from around the world and educators can get a behind-the-scenes glimpse of what’s to come through the launch of its companion Web site Samhoustonmovie.com. The unique, interactive site offers information on people and places that were influential to and influenced by Houston, dispels and validates famous myths and legends, and offers a chronological timeline of his life, placed in historical context with other events happening across the U.S. at that time. Among the site’s features is a “Gallery” section with production stills and other photography from various places visited for the documentary. By clicking the “i” icon in the top right hand corner of each picture, visitors will find information about the picture on the screen. The interactive aspect of the gallery allows people who have travelled to areas related to Houston’s life to submit their photographs to be featured on the site. 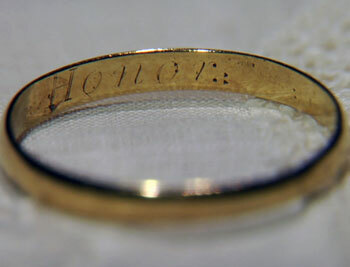 Through the “People/Places/Artifacts” link, visitors can get a glimpse of the “holy grail of Houston artifacts,” his “honor” ring, and even see the ring’s inscription in the picture, as well as what is believed to be the only-known photograph of Houston’s first wife, Eliza Allen. In addition, those interested in visiting historic Houston-related site need to look no further than the “cutting-edge” “Sight Seeing Ideas” link on the “Resources” page. There you will find hundreds of locations relevant to Houston’s life, as well as museums and gravesites, identified by GPS coordinates on Google Maps. Many are photographed, and you can zoom the satellite images all the way to street level. The most “robust” area of the site is the “Video Learning” page, at which history buffs can see segments compiled on various topics from some of the more than 20 hours of video shot for the documentary. Among the experts featured, both online and in the documentary, are the Sam Houston Memorial Museum director Patrick Nolan and curator of education Gene Pipes. “It’s a three hour show, so most of this isn’t going to make it into the documentary,” Florian said. “Rather than lose all of this content from these subject-matter experts, we grouped their comments by subject area and posted them. Finally, for teachers looking to make Texas history come alive for their students, the Sam Houston Movie Web site offers educational resources such as a musical on the life of Sam Houston, a series of classroom-friendly podcasts, professionally-developed lesson plans and links to many other resources. The musical based on Houston’s life, “Raven’s Journey,” was written for upper elementary and secondary students and was piloted at Hailey Elementary School in The Woodlands. A video of the entire performance, the script and all of the documentation is also posted on the Web site. Even better, according to Florian, all of these resources are available to educators at no cost. Florian is currently working on a broadcast commitment with television networks for his documentary. Once the final funding is secured, the project should be complete within four to five months, he said. For more information, or to make a tax-deductible donation, contact Florian at denton@samhoustonmovie.com, 281.362.1544 or visit the “Sam Houston” movie Web site at http://www.samhoustonmovie.com.